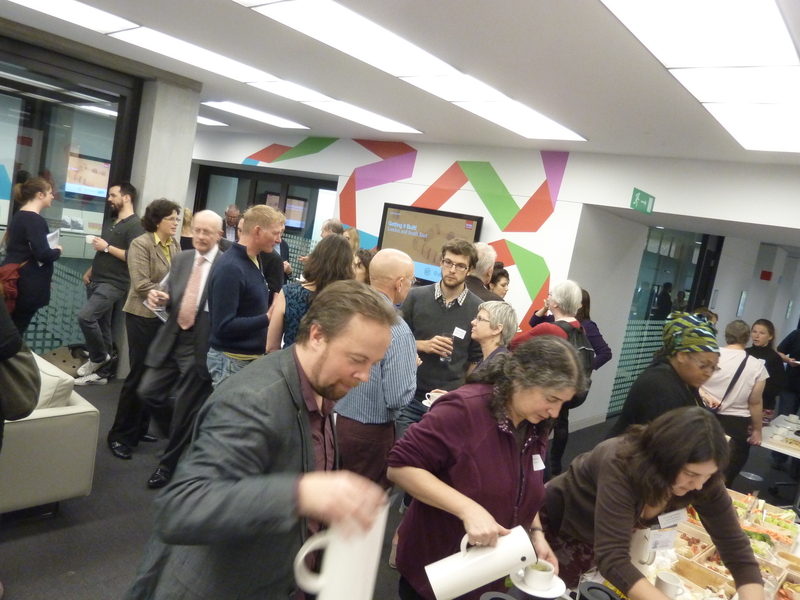 A combined effort between the UK Cohousing Network, the Community Land Trust (CLT) and Locality brought together a large range of participants, all united around an interest in community-led housing models. This well-structured one day conference programme was free, its value augmented by an invigorating quick-pace delivery, excellent time-keeping and a first-class lunch. The East London CLT and the Ashley Vale self-build project (Bristol) presented inspirational case-studies. and we had the benefit of a masterly over-view of the different models from Stephen Hill of C20 FuturePlanners . GLA delivered the low-down on the ‘ins and outs of the £17m Community Led Project Support Fund’ plus a plea for more small projects to apply for funding. We heard from Brad Smith how Brixton Council is working with locals to turn around a small deprived and crime-ridden locality. The rest of the day offered a choice of Master Classes on such themes as ‘Considering organisational issues’, ‘Working with partners’, ‘Where does the money come from?’ and ‘Technical issues including design and planning’. All extremely useful and tailored to the needs of community groups. Cohousing Woodsdie was represented by Maria, Jill and Hinchee. The conference has certainly given us food for thought. The day was a valuable opportunity to network and to appreciate the rich variety of approaches to some core values around community control and grass-roots organising.